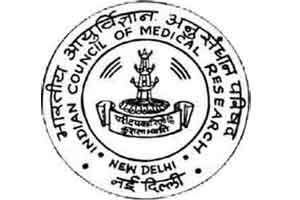 New Delhi: The Indian Council of Medical Research (ICMR) is developing a network of viral diagnostic and research laboratories to build capacity for handling outbreaks, and managing epidemics and natural calamities across the country. Under the initiative, the ICMR has begun work for five regional, 11 state-level and 35 medical college-level laboratories. “These laboratories will be connected to Asia’s first BSL IV laboratory at the National Institute of Virology in Maharashtra to deal with most dangerous lethal infections like haemorrhagic fevers, agents of bio terrorism and several other issues related to the subject,” Soumya Swaminathan, secretary at the health ministry’s Department of Health Research, and ICMR director general, said at the annual press conference of the research institution. She said 62 multi-disciplinary research units in different medical colleges have been approved and funds were released to 48 of them to strengthen health infrastructure and create an environment of research. The ICMR, the apex body in India for the formulation, coordination and promotion of biomedical research, is one of the oldest and largest medical research bodies in the world. The ICMR is funded by the government through the Department of Health Research and the health ministry. Earlier, the government had allotted 102.69 acres of land at Genome Valley in Hyderabad free of cost to the ICMR for establishment of the National Animal Resource Facility (NARF) for Biomedical Research. It will be the Asia’s first such facility dedicated to the research on animals. Among several data revealed during the annual press briefing, the ICMR also said studies have stated that rising indoor and outdoor air pollution was emerging as the leading cause for chronic deaths and the only reason that has escalated was because of the lack of awareness among people both in rural and urban areas. “Over the years, we have witnessed completely different situation… while in 1990, the majority of the death were due to communicable diseases (CD), today in 2016, over 50 percent of the deaths are due to non-communicable diseases (NCD),” said Swaminathan. According to medical science, poor air quality for pregnant women results in lower birth weight of their child. Swaminathan said the ICMR has initiated research programmes on hypertension, nutrition and tuberculosis with a goal to improve the health of tribal and other marginalised communities. “A vector borne diseases science forum has been set up to research on malaria, filariasis and Japanese Encephalitis. Ambitious public-private partnership for malaria elimination in Jabalpur will be initiated soon,” stated Swaminathan. The ICMR has also planned to start a new triple dug therapy project with the National Vector Borne Disease Control Programme to support filariasis elimination. On the overall health condition of the country, Swaminathan said that though life expectancy of the people has increased over the years, but the quality of life has deteriorated. On the various technological equipment being prepared by the ICMR to ease the medical system, Swaminathan said the institute has designed a special cooling jacket for people exposed to hot atmosphere and also a medical kit for diagnosis of chlamydial infections prevalent in women. Among several other medical equipment designed by the ICMR are diagnostic kit for lung fluke diseases, and kits for leptospirisis prevalent in Karnataka, Gujarat, Tamil Nadu and other states.